Charismatic boy Rooster always attracts attention. It is so confident that it can not be overlooked. Behaves freely, is open to any communication. Strives for independence, this kid has everything for everyone. He has a stubborn temperament, besides he is quick-tempered, emotional, very quickly out of himself. Therefore, it is better not to argue with him, can get involved in a fight and conflict without any extra thinking. From the very birth of a baby, the Rooster manifests his independent character, does not react to cries and comments. He recognizes only a polite address to himself, extremely proud of himself. At the same time, he is conscientious and responsible, he shows diligence and diligence in any business. Boy Rooster stands out among his peers with his determination, always achieves his plans. Acts consistently, carefully thinks out the strategy of behavior. The surrounding people will have to get used to the straightness of the Rooster boy, because he never selects expressions. Rather, it flaunts its own courage, the ability to express one’s opinion, regardless of the circumstances. This brave kid is not afraid of difficulties and complexities, for him the main thing is justice. He most of all hates lies and lies, always acts conscientiously. He is an honest child, he just likes to attract attention. His weakness — vanity, ready for the most insane acts for the sake of fame and popularity. Parents and close friends know that the Rooster is a noble person, always protects and protects weaker children. For all his love for publicity, this is a fairly modest and kind child. Simply nature endowed him with a stormy temperament, it is difficult for him to cope with his emotions. Too active to sit in one place. So mobile, unpredictable, that many consider him a frivolous child. With a close acquaintance in the boy Rooster you can see a lot of advantages. This is a serious, thoughtful and hardworking kid. This kid never pretends, always honestly and directly expresses his opinion. So confident in himself that he will not cringe or humble himself before anyone. He will endure difficulties, but he will not act contrary to his own convictions. The Boy Rooster is the embodiment of honesty and justice. And he expresses the truth in person not from the desire to cause pain, but simply can not behave differently. Always says exactly what he thinks and nothing else. Parents can fully trust their son, they will not have to check him. With its simplicity, unpretentiousness, the boy Rooster can not do without flattery and compliments. It is vitally important for him to be in the center of attention, for glory is capable of any adventures. He likes bright clothes, behaves defiantly, is not afraid to make bold decisions. Aspires to the role of leader, can defend his position with the help of fight.. Do not let the hooligans down, willingly take care of weak children. For the victory in the contest will work days and nights all the way, despite the fatigue. A Rooster boy must be the best, otherwise he can not. Strong will, perseverance, purposefulness — the best qualities of the child of this sign. 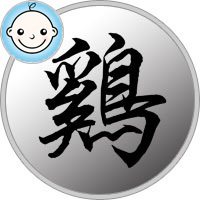 Fight character helps the child successfully overcome all difficulties. However, the boy Rooster is too overconfident and adamant, sometimes natural stubbornness prevents him from acknowledging his mistakes. Until the last will defend his opinion, will spend a lot of energy and energy, but does not agree with the opponent’s point of view. Often finds himself in a difficult situation because of his reluctance to listen to parents’ advice. The boy Rooster is too energetic, is in constant movement, that is why many consider him to be a frivolous child with superficial thinking. It seems that the kid can not be entrusted with any serious matter, he can not respond responsibly to him. However, this is not so, because he is able to work long and hard to achieve the desired goal. Despite his erratic behavior, he carefully thinks through all the actions. If I get down to business, I will definitely achieve a brilliant result. And first he will make a detailed plan and only then he will start to work. Baby Rooster exhibits a rare persistence in wanting to learn everything around. It will endlessly fall, stuff cones, but still will not stop, he always moves only forward. Still not being able to speak, stubbornly insists on his own, does not recognize the authority of his parents. Boy Rooster loves active games, spends the whole day in motion. Rarely he is capricious, constantly engaged in some important affairs. Parents will have to come to terms with the son’s desire to do everything in his own way, they can only observe from his side trying to conquer the world. At school the boy Rooster is a significant person, his name is always on hearing. He prefers to devote more time to social life than to sit on books. At the classes he is active, he asks many questions, and from the desire to show off before classmates. Although if you feel interest in learning, will start to receive one of the five. This is a practitioner, he must see the ultimate goal. He is not afraid to defend his own convictions either in front of teachers or other children. He’s too cocky, that’s why he often participates in fights. Young Rooster devotes much time to his appearance. She tries to look perfect, long picks up clothes. It has good taste, is not afraid to experiment, therefore stands out against the background of other teenagers. This temperamental young man can not do without women’s society, often falls in love. True, parents do not have to worry about the fact that his son abandoned his studies. The Boy The Rooster never forgets his goals, is serious about success. He sees himself in the future as an accomplished person, therefore he studies and works a lot for the sake of this dream. Impulsive, explosive, unpredictable boy Rooster is actually a modest, lowly child. Just loves to make an indelible impression on others. In fact, he thinks quite pragmatically and soberly, is determined to work hard and work for the sake of a brilliant future. Parents should trust their son, be able to agree and step aside if necessary. Screams and scandals from this boy will not achieve anything. Only respect and a personal example are effective methods of upbringing.